Ponds are fantastic for wildlife. They will attract lots of insects to your garden and can provide a safe drinking spot for hedgehogs and other animals. The birds love to bathe in mind. Hedgehogs are actually great swimmers. Just take a look at this hedgehog who is having hydrotherapy. But, like humans, they can’t swim forever. If a hedgehog ventures into a pond with no escape route, it will soon tire and drown. The best ponds for hedgehogs have shallow sloping sides (like a beach) with plenty of escape routes all the way round. The pond will also be fairly shallow. One escape route is not enough – an exhausted hedgehog will not know that if only it keeps swimming around, it will eventually find an escape route. You need to provide escape routes all around the edges. You can do this by creating sloped edges when you create your pond or putting rocks/large stones into the water and also plenty of pots with pond plants, submerged just under the water. You can also create a ladder to help hedgehogs escape. I have several submerged logs as well – which are also great for dragonfly larvae. Keep your pond levels topped up all year – this helps prevent a hedgehog falling in. Hedgehogs can easily get tangled in garden netting. To keep leaves out of the pond in Autumn, I’ve created a wooden frame with netting attached. This keeps the netting safely away from any passing hedgehogs. I recently removed concrete around my pond to create a more natural edge. All around the edges there are large submerged pots that hedgehogs can stand on to get out of the pond. Keeping the water level topped up is also essential to help hedgehogs escape if they fall in. To help prevent hedgehogs venturing into unsafe ponds, please also provide plenty of shallow bowls of water around the garden. These provide a safe place for hedgehogs to drink. They need to drink a surprising amount, especially in hot weather. I have lots of other advice for creating wildlife friendly gardens here and here also a blog about the best plants to grow in your hedgehog haven. I run a hedgehog rescue in York, England. You can read more about my work here and also how to support it here. 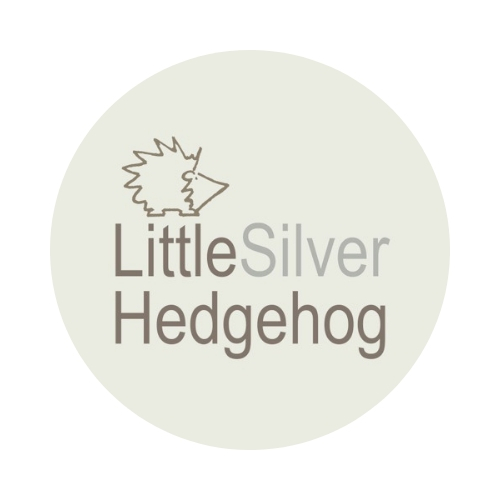 I also make handmade silver nature jewellery to raise funds for my hedgehog hospital and you can visit my online shop here. Glad you’ve confirmed this as a necessary measure. We’ve sloped ours all the way round just to be sure. Really would not like to be responsible for a drowned hedgehog!